Don’t Show Up Missing on Google My Business! If you’re a local business, dealing with your customers face to face, having an accurate Google My Business listing is critical. Google says this is one of the first things to do to rank well for local searches. Google says “The information in your listing like address, phone, logo, business hours, and website determine what shows up when people see you in Google Search and on Google Maps. 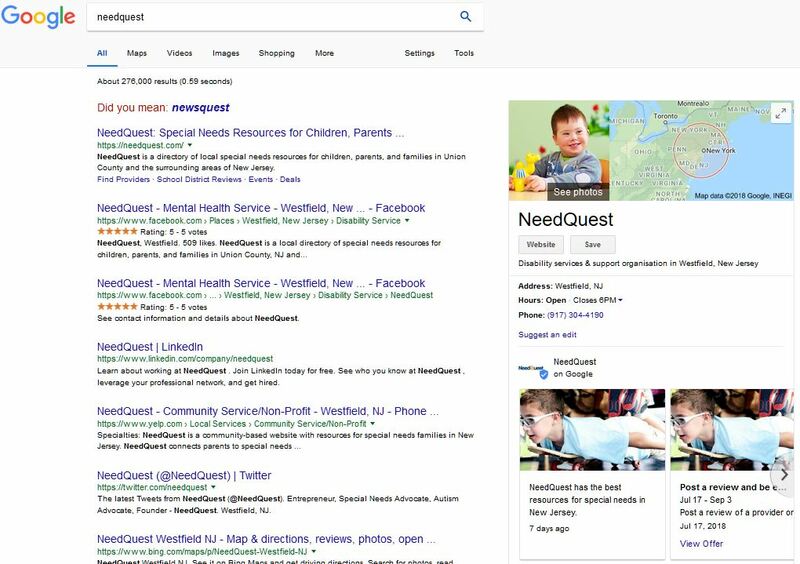 See our blog post about getting found in local searches. Too often information for small businesses on Google My Business is old or out of date. And when your NAP (name address, phone) is out of date or inconsistent with other citations across the web, that compromises your listing. It may even prevent your listing from showing up. But worse yet is not having a Google My Business listing at all. If you’re a very small business or a new business, odds of not having a Google My Business listing are greater. You might have a listing even if you’ve never created one yourself, so the first step is to see if you do. Start out with a simple Google search for your company name. If your company shows up in the Knowledge Card at the to right, you have a listing. If this was your business, go to that listing and make sure everything you can fill out has been completed. Also make sure that everything is current, especially your NAP. AdviceLocal has published a nice set of things to do to optimize your listing. In most cases, Google will give you two options to verify the listing: by mail or phone. If the phone number on the listing is correct, that’s often the best choice. I’ve had several experiences where clients have selected the mail notification option, only to have to request it two,r three or more times because whoever sorts the company mail mistakes the Google letters for junk mail and discards them. However, if no phone number is included on your current Google My Business listing you may have to select the mail option. Exercise some diligence so that when the letter arrives from Google you’ll spot it. When you get it, follow the instructions to login and enter the PIN in your letter to verify your ownership of the listing. Once Google confirms that you own the listing, log into it and make sure everything is filled out correctly and is consistent with how you’re listed everyplace else. Local Businesses need an accurate Google My Business listing. When you search for your listing, if a number of listings about your business show up but there is no Knowledge Card about your business in the top right (like the search results page below), that’s an indication that Google My Business doesn’t have a listing for you. This isn’t as daunting a process as you might think, especially if you have a single location. If you have multiple locations, you’ll need to go through this process for each of them. Go to this Google My Business create-a-listing page and click on the green GET STARTED button. Enter your full business name and click NEXT. Enter your full address and indicate if you provide services at customer locations instead of at your business address. Many local service businesses operate out of a home office. You may want to hide your street address so customers don’t come knocking at your front door. Continue to follow the on-screen prompts until you get to the point where Google wants to send you a PIN by mail or phone. See the information above about verifying your listing. Once you get your PIN, enter it into your account to complete the verification. At that point you own and can manage your Google My Business listing. Next make sure to optimize your listing. Enter as much information as Google My Business will allow: logos, photos, business hours, business description, and so forth. The more information you fill out, the more prominent your listing will appear. Make absolutely sure that your NAP is current and consistent with how it’s displayed everywhere else. How to check, claim, and if necessary, create your Google My Business listing. When it comes to showing up for local searches, an essential factor is Google’s trust in your NAP. Some citations may have a previous address, some have a local phone number and others a toll-free number. Some may even have variations on your company name. When that happens Google isn’t sure which is right. If Google doesn’t trust it knows your current and accurate NAP, it will be reluctant to display you prominently. You can check your listing at several dozen of the top citation sources – local search engines, directories, maps & apps – with our handy scan here. If that scan reveals problems, we can help. Please join the conversation below with your own experiences and opinions. If you found this helpful, please share it via the social media share buttons on the left. 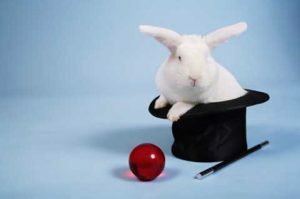 I often explain that despite the “Magic” in our company name, SEO isn’t magic, and there really should be no secrets about how it works. Nevertheless, it does require a little shift in how you think about your website to understand what works and why. Small business SEO mistakes can be pretty easily avoided if you know what they are. Much of what follows comes with a tip of the hat to the folks at Search Engine Watch; if you’d like to read a bit more about this from their perspective, here’s their article on the subject. Small business owners often spend months or years designing their websites and creating content. Without an SEO strategy in place from the beginning, they often find their efforts to be sub- optimal. When they come late to the SEO process, very often much of what they have worked on so diligently on the website needs to be redone in accordance with SEO best practices. The best time to start SEO is when you start designing (or redesigning) your website. This may be the single most common small business SEO mistake. It’s easy to think that you should focus on the keyword phrases everyone is searching for all the time. It feels like a waste of time to optimize for niche keyword phrases that receive fewer searches. But for a new business or a new website, the reverse is actually true. It takes months and years to develop the online authority to rank highly for those keyword phrases – you may be trying to compete with Amazon or Wayfair or Costco for those super-high volume keyword phrases. They’re the most competitive. Optimizing for appropriate low competition keyword phrases is easier and much more likely to result in success over the shorter term. For local businesses, niche keyword phrases might include a county, town, or neighborhood. Think electrician on the upper East Side or Indian restaurant in Morristown. Those kinds of keyword phrases narrow your competition dramatically and make it much easier to achieve first page rankings. At Rank Magic, we do extensive keyword research and analysis for our clients. Just about anything you do on a website specifically for Google, is likely to fail to address the needs of your customers. As Google has improved over the years, it’s gotten very smart about identifying websites that are helpful to users as opposed to being focused just on Google. It’s important to bear in mind that the user experience on a website is a ranking factor at Google. are more precisely focused on your products or services than more general terms. 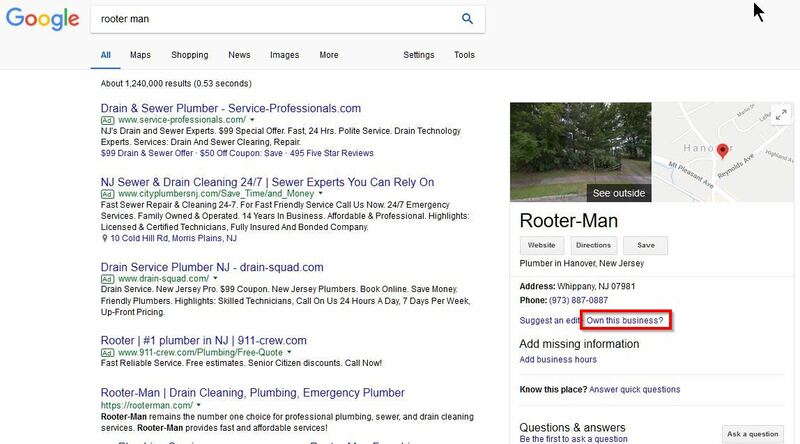 A new plumbing company may optimize for the keyword plumbing. But most people searching for that phrase are looking for general information about plumbing — or perhaps jobs in the plumbing industry — rather than looking to hire a local plumber. The keyword plumbing services receives fewer searches per month but is much more closely focused on the needs of the plumber’s customers. An even longer-term phrase for one of this company’s services might be sump pump repair or sump pump leak. 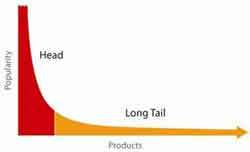 Our new plumbing company is likely to have much better success with these long-tail phrases. These items all relate to the underlying code of your web pages which either A) help Google understand what the page is about and the value it offers or B) contribute to the likelihood of someone clicking on your listing when it shows up in Google. 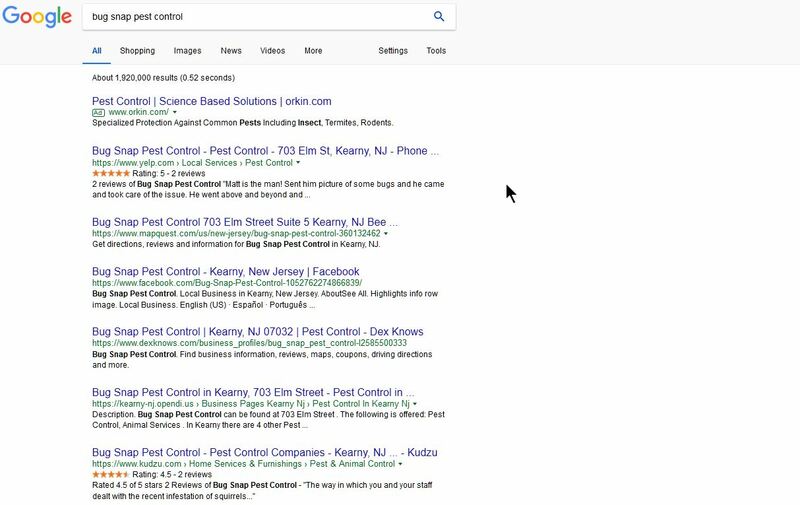 The now-ancient practice of keyword stuffing involves using a keyword phrase over-abundantly on the page in the hopes that it will convince Google the page is really, really, really about that phrase. It doesn’t work. And it makes the user experience on the page really crappy, driving people away instead of converting them to paying customers. This is a small business SEO mistake that was usually made many years ago and has just never been fixed. If it applies to you, it’s time to fix it. Once you have people on your site, you want them to stay long enough and learn enough about you so they want to do business with you. Internal links – links among the various pages on your site foster those more extensive visits on your site. You need to know if your efforts are working or not. If they’re not helping, you know you need to change things. How are your search rankings doing over time? 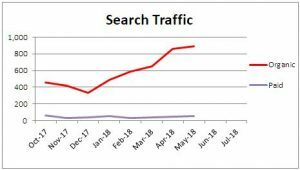 How much traffic are you getting from search? Is it improving? You need to know this. Rank Magic provides extensive reporting to our clients on the essential things they need to know but if you’re not a client of ours you should take steps to track results yourself. You’re enmeshed in your business and are proud of the features of your products or services. 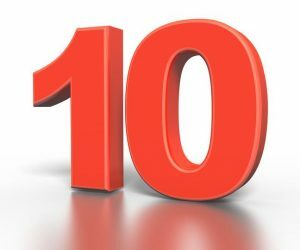 Small businesses often get bogged down in the details of those features and go on at length about them. Your customer cares about benefits, not features. They want to know how you can address their concern or relieve their problem. They won’t search for a high tech toilet float valve — they want you to stop their leaky toilet. This is one of those SEO mistakes that small businesses make that requires you to change your perspective about what to tell people about your business. Learn more about customer-focus in this blog post. Order a hamburger at any fast food restaurant and I’ll bet the person taking your order asks “You want fries with that?” They sell a lot more fries because they ask. That’s known as a call to action. We all think our website copy is going to make us irresistible and will make users reach out to us without us having to ask. We’re delusional about that. What do you want your website users to do? Buy something? Call for an appointment? Subscribe to your newsletter? Ask them. If your small business is not ranking well and bringing in customers — Rank Magic can fix that! We welcome your thoughts in the Comments section below. Why Do I Still See Keyword Stuffing? Search Engine People recently reported on how the number of online reviews of your business directly impacts your rankings in Google. The more review sites that feature your company, the more back links your website attracts. Spending time responding to reviews and communicating with customers increases engagement and brand mentions. And that results in a positive impact on your search engine rankings. Studies show that 92% of consumers now read online reviews and that 68% of these cite positive reviews as a significant trust factor. Read more about the importance of online reviews. Search Engine Land recently reported on an experiment on review responses in terms of their impact on “conversions”. Conversions are customer actions on your website: form fills, email inquiries, requests for quotes, etc. 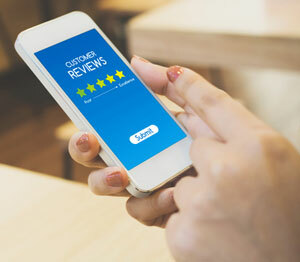 Businesses with an average rating of close to five stars get 25% more conversions than businesses averaging three stars. That’s not very surprising. But businesses that respond most often converted 33% more visitors than those that don’t. That’s huge. Even more, review responses from you might encourage your reviewers to raise their rating, further increasing both your rankings and your conversions. Read more about how to handle bad reviews. It’s clear that reviews are incredibly important for multiple reasons. The impact local rankings. But, more importantly, they can significantly affect consumer buying behavior, as this and other studies demonstrate. Quick replies to online reviews increases your sales. Google announced it would be emailing notifications like this to consumers when a business responds to their reviews, prompting them to view the reply. Google’s announcement ups the game for all review platforms, because it will make owner responses to consumer sentiment an expected, rather than extra, effort. Manage any negative reviews properly. When you answer a bad review immediately with a positive tone, you’ll demonstrate that you’re dedicated to customer service. That can cause readers to leave a bad review with a positive impression of you. RevLocal found that 52% of consumers expected responses within 7 days. Owners of small businesses don’t have the time to monitor all of the websites that could host a new review of them that often. Without help, odds are you won’t know about a new review for weeks or months, if ever. How do you know when someone writes a review of you online? Fortunately, we can offer some help. As a Certified Partner with Yext, we can offer and support a subscription to Yext location platformthe . At first glance, Yext looks like a great way to get dozens of citations of your business across the web with a consistent name, address, and phone number. And it is. That’s crucial for good rankings in local search. But a feature of the Yext platform that is often overlooked is the fact that it notifies you of new reviews immediately. Moz suggests service oriented businesses get great value for reviews at (among other sites) Google My Business, Yelp, Yahoo Local Listings, Facebook, and Twitter. Yext will alert you immediately any time someone reviews you on any of those sites. Also on any of the more than five dozen local search engines, directories, maps & apps it supports. If you really want to kick it into high gear, Yext allows you to request reviews from customers that will appear on your own website. When you do that, those pages will be accompanied by review stars in Google search engine results. Call us to see if Rank Magic can help you do better here. We welcome you to join the conversation in the Comments section below. Got Online Reviews? You’d Better! While SEO is the result globalization, the evolution of SEO has seen the rise in importance of bringing localization to your strategy; if your startup wants the highest sales figures possible you need to know about local SEO. Below I’ve run through what local SEO is and how your startup can incorporate it into your strategy. Read on and you’ll be a local SEO pro in no time. When your customer make a search in Google, the search engine knows which part of the world you’re in. Google exists to give its users the best possible outcome to their searches and if that means giving them a local solution that’s what it will give them. Most users who benefit from local SEO have a specific business in mind when they make their searches. However, they might not be seeking a specific company. When Google compiles the SERPs (Search Engine Results Page) for these searches they target companies which have the closest match to the industry their user is seeking, along with the location their user is based in. The results are targeted around local keywords, so you need to make sure your startup is aware of how to find the relevant keywords for your locality. Mobile phones and tablets now account for around 60% of all web searches made. Local SEO is particularly relevant to these devices and is especially relevant to your startup if you are based in the services industry. Let take restaurants as an example: If a user is out and searching for the best food in their area, they’ll almost certainly be making their search via a mobile. Using local SEO means that your startup has the best chance of being the first business that your searcher sees when Google directs them to the best local restaurant. How can my startup make the most of local SEO? If your startup isn’t in Google My Business, or your listing is incomplete, then you won’t feature on Google Maps – which isn’t much use to your searcher if they’re trying to locate your business. Getting your startup listed correctly on Google My Business is quick and easy. Check out the excellent video below for a guide on how you can make sure you’re on Google My Business. 93% of your customers are influenced by reading online reviews. 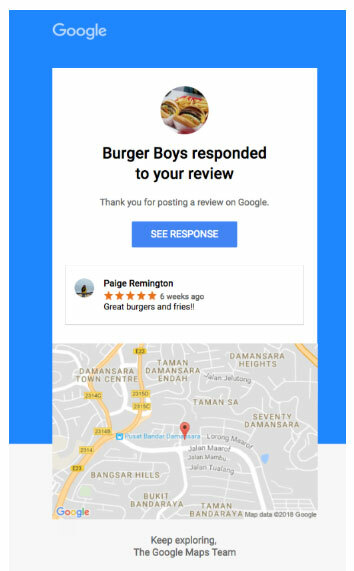 It’s for this reason that Google loves to use online reviews to build its local SEO rankings, and that you can’t afford to add them to your startup’s strategy. This tactic is all about getting the maximum value from the surrounding areas of the city, or town, that your startup is based in. City Pages use LSI technology to allow you to target any combination of service, product, or metro area. The benefit of this is that it allows your startup to appear in a broader range of local searches. Well-optimized content is a huge part of making the most of local SEO and Google has a place for you to publish it. Google Posts lets you develop and upload content directly on Google. You can add your startup’s products, services, and events to Google Maps and Google’s search results. Your posts can be up to 300 words and you can add a CTA (call-to-action) button, date range, and image. Title tags are the most important part of on-site optimization. This means it is essential that you insert your locally optimized keywords into the title tags for your web pages. Using Google Posts is a great way to link local content to your business, but don’t stop there; add local content to your website. There is a range of local content you can write for your website and this article is full of ideas to help you develop a local content strategy. 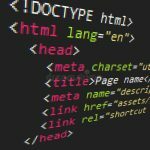 This is the code that you use to tell Google what your website is about, making it essential that you get this very technical aspect of on-site optimization right. There are a number of great apps to help you with this. Schema App Total Schema Markup is an industry leader and comes with a range of great features. It makes optimizing your schema markup easy and can be added to your business in minutes. If your startup isn’t aware of and employing the benefits of local SEO, then you won’t feature in Google’s SERPs and will lose potential customers. Thankfully, you now have everything you need to know about local SEO, so you won’t be losing any customers. 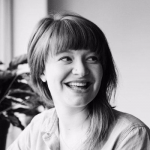 Victoria Greene is a branding consultant, freelance writer, and SEO content specialist. On her blog, VictoriaEcommerce, you’ll find an array of articles to help your startup make the most of ecommerce tactics to increase your revenue. We welcome your thoughts and observations. Join the conversation in the Comments below! This is a question we get asked a lot. A LOT. And there are so many variables, it often feels like an unanswerable question. To the rescue comes Ellie Summers in the UK at The Website Group and the research folks at ahrefs. She’s created a helpful infographic that covers the answer (such as it is) very well. The infographic below is reproduced from Ellie’s website with her permission. 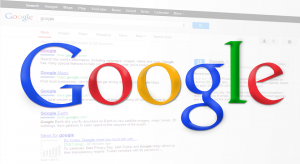 Need help getting your small business onto the first page at Google? Contact us to see how we can help. Share with us what you learn from your own experience in the comments below.